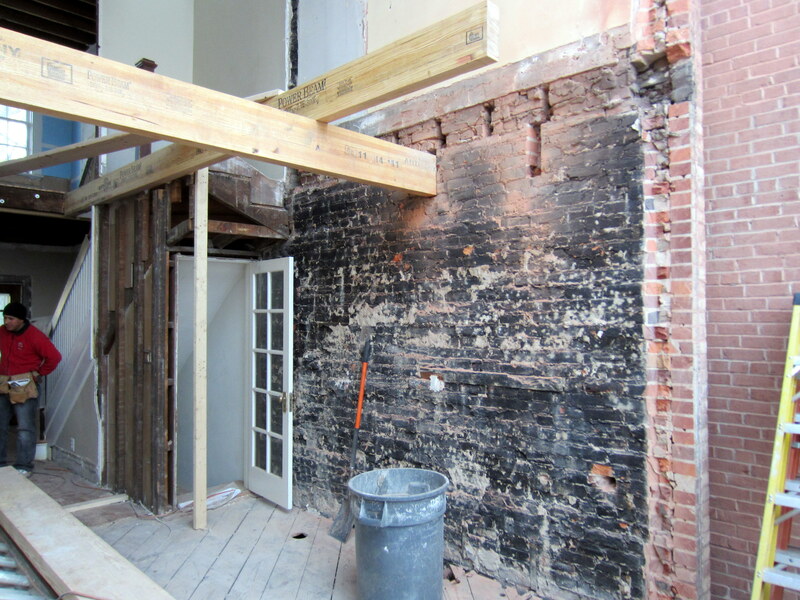 As indicated in a previous post, demolition was completed in late February. This was the demoralizing valley floor in the topography of our renovation. 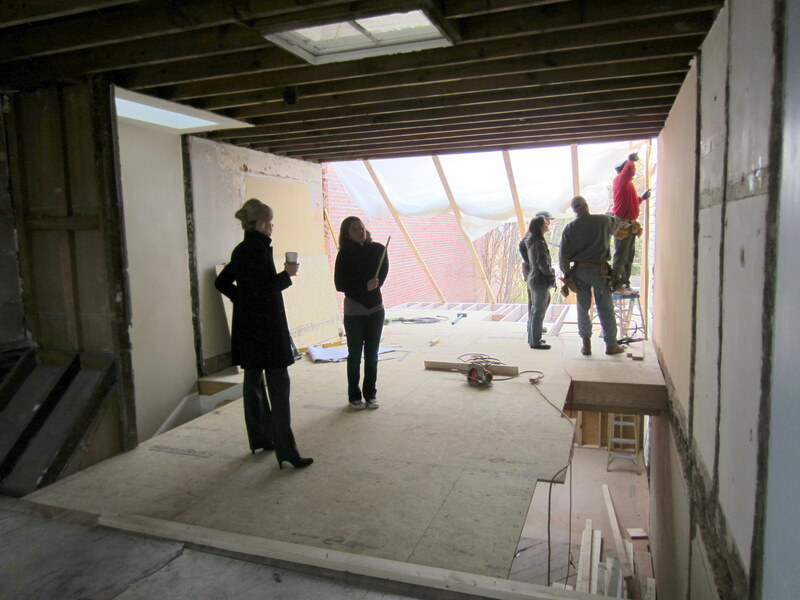 We’re now climbing up the mountain of improvements, starting with the framing. 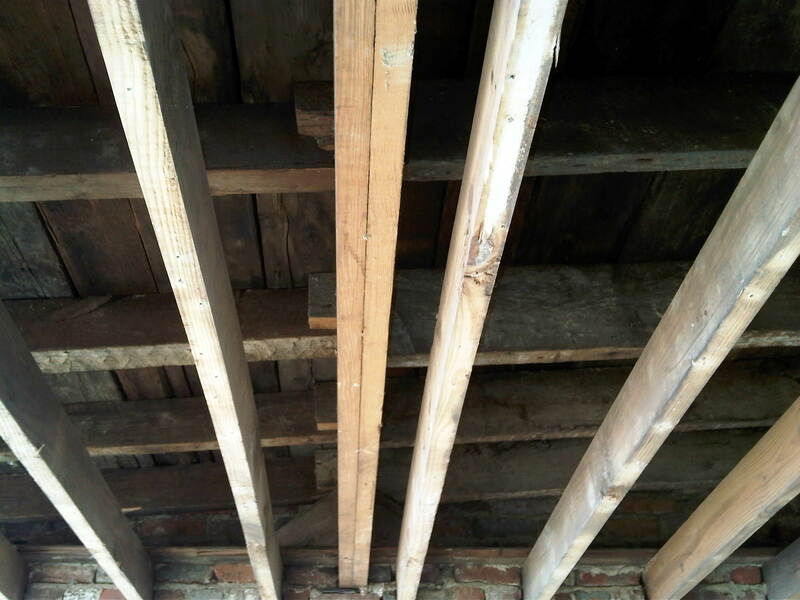 Since the back of our house historically has been a veritable car wreck, structurally, it was great to have the old porch structure replaced with proper joists tied into the original house framing. 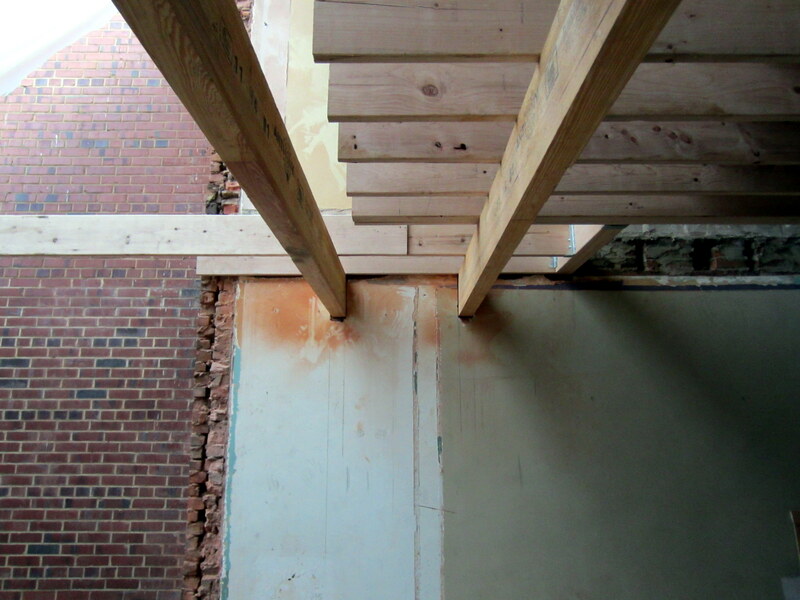 To support the new, north-south joists for the second floor, several large, glulam beams were installed. 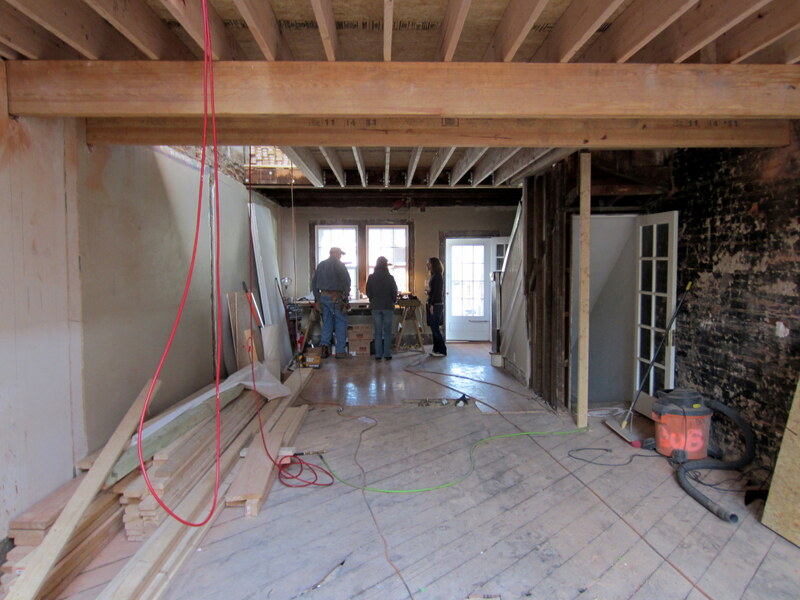 Two of them will become the bulkhead over the kitchen/dining peninsula, and will support the south end of the longest stretch of the new, north-south joists. 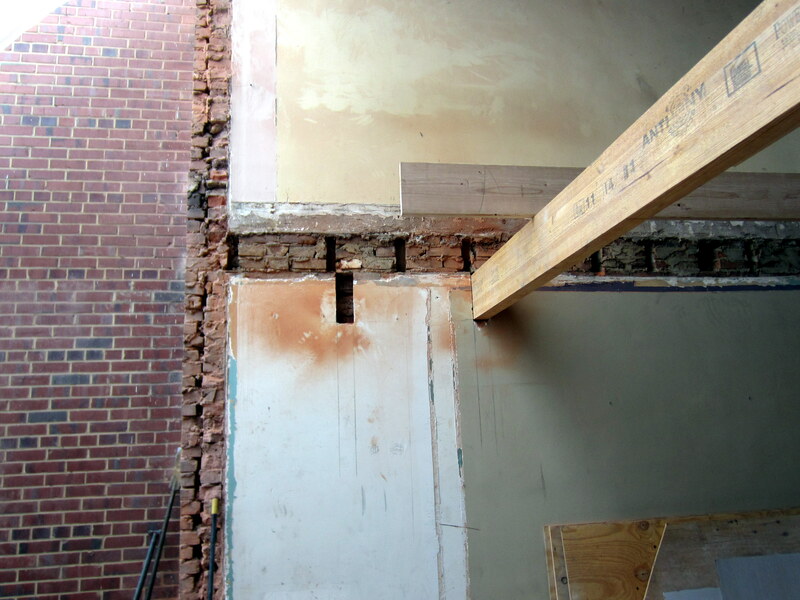 Although the new joists will run parallel to the house walls, the bulkhead glulams supporting them are slotted straight into the brick like the old joists (only lower and larger). 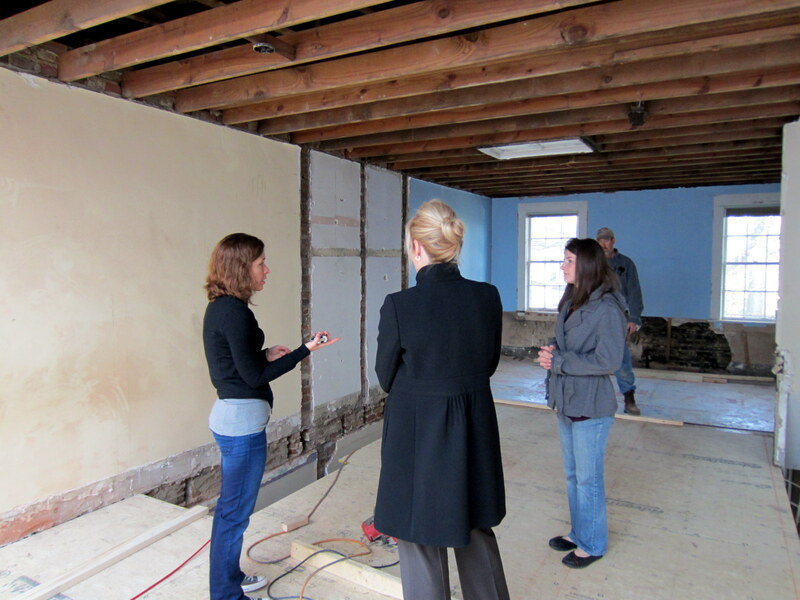 We’re oddly happy about this, simply because we thought the old-school joists-in-slots technique was so cool. 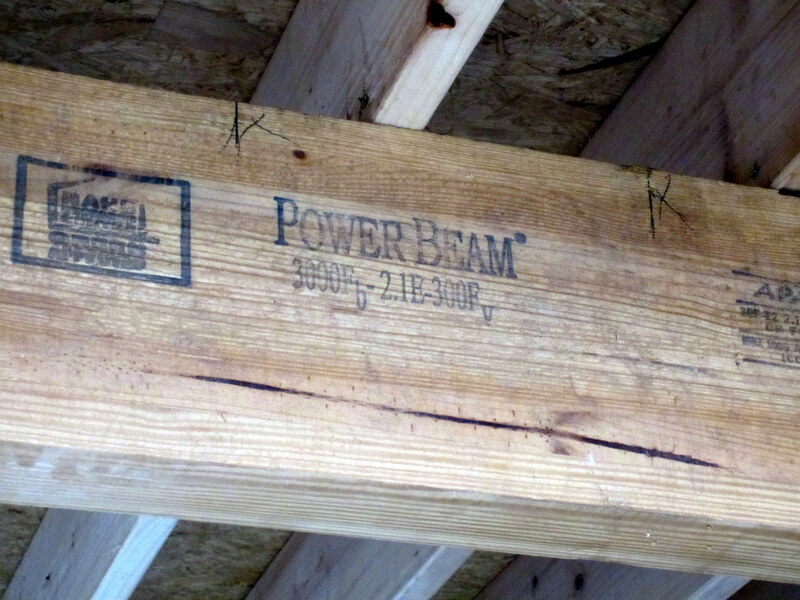 Two of the other glulam beams (POWER Beams!) 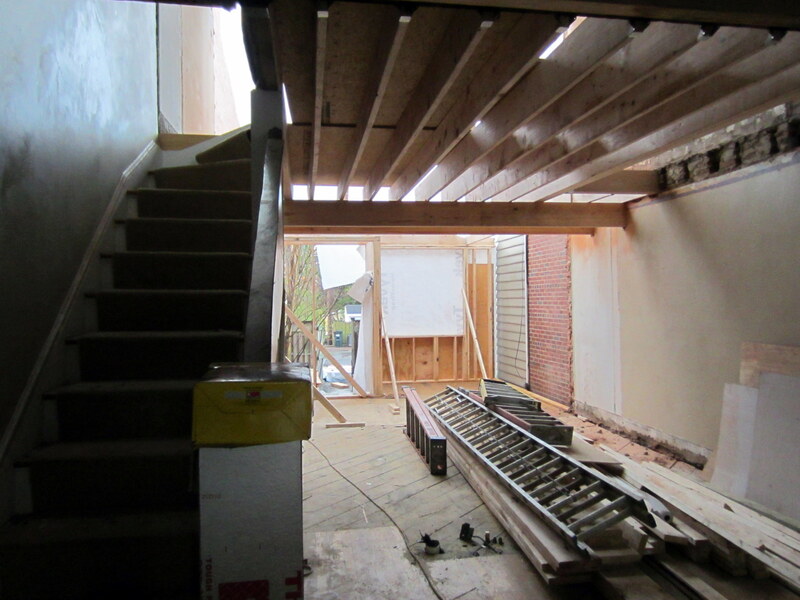 are installed behind an original double beam to the north and next to the staircase to the east. The second bulkhead mother gets installed. 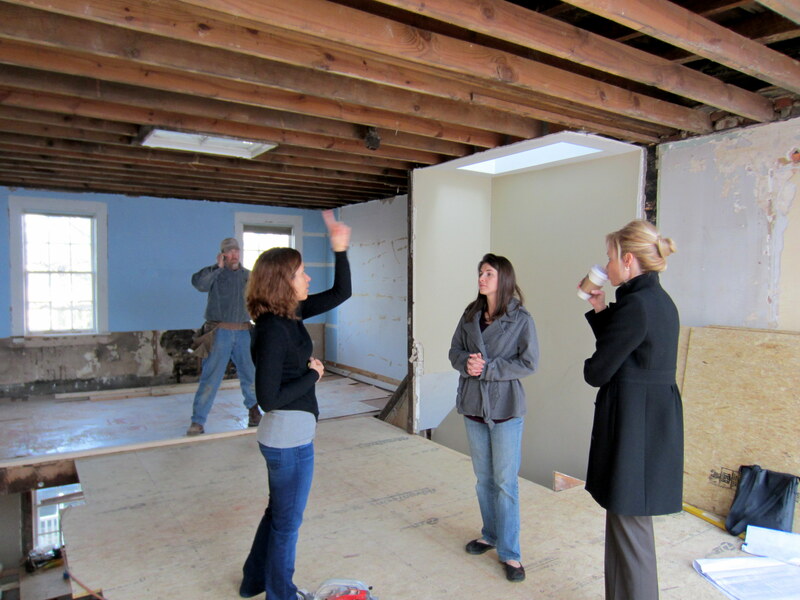 From a design perspective, the bulkhead will define the transition from the living room to the kitchen; from a functional perspective, it will handle routing of vents, plumbing, and hydronics. 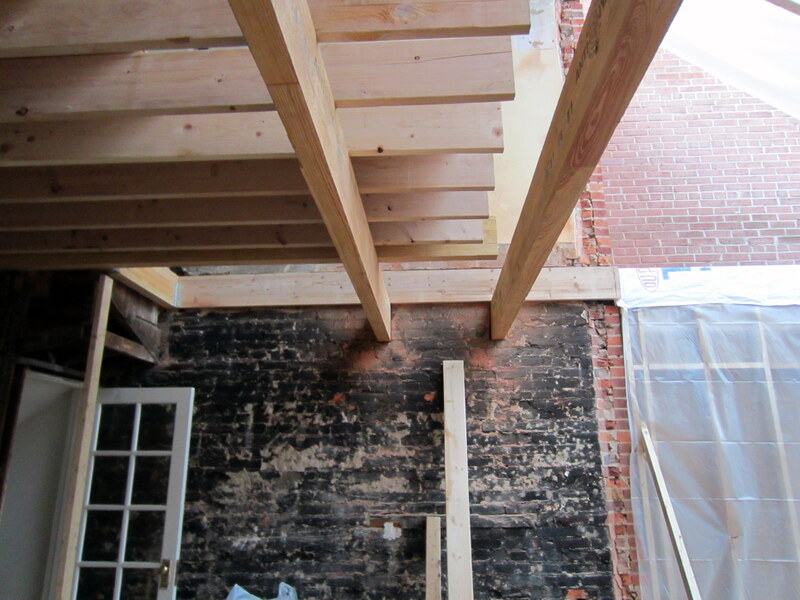 The new, second-floor joists installed. 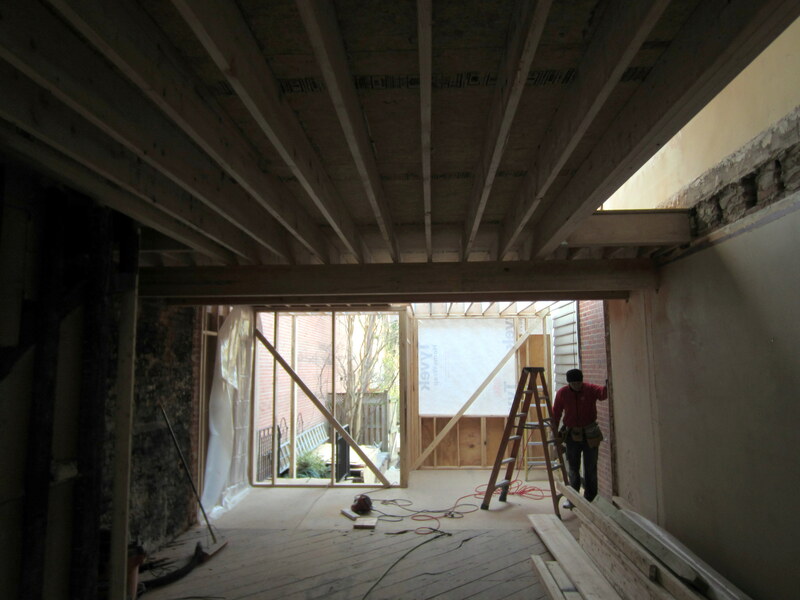 During the last meeting with the architects and GC, we collectively decided to install 10″ joists instead of the unusual (for a modern floor) 8″ joists we had spec’d. 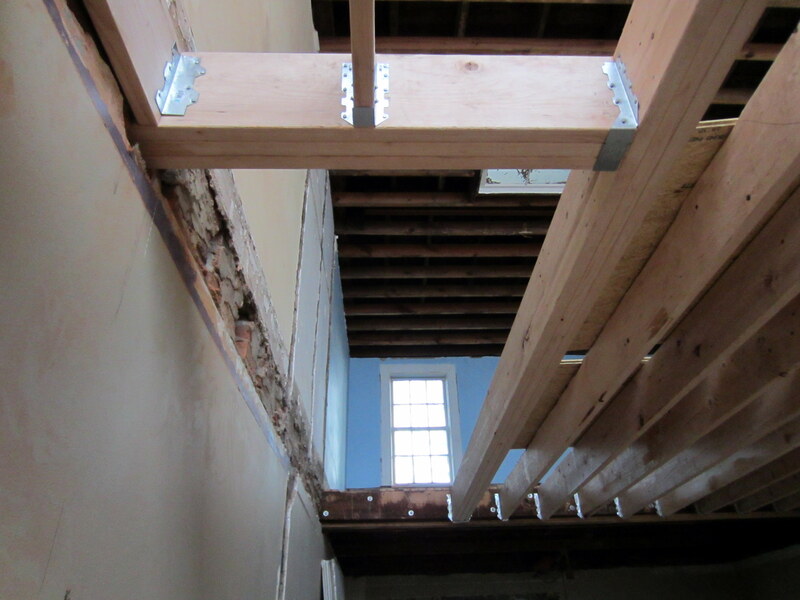 The reason we spec’d the narrower joists was to be maintain consistency with the existing joists at the front of the house, which were approximately 8″, as far as we could tell, and to maximize ceiling height. 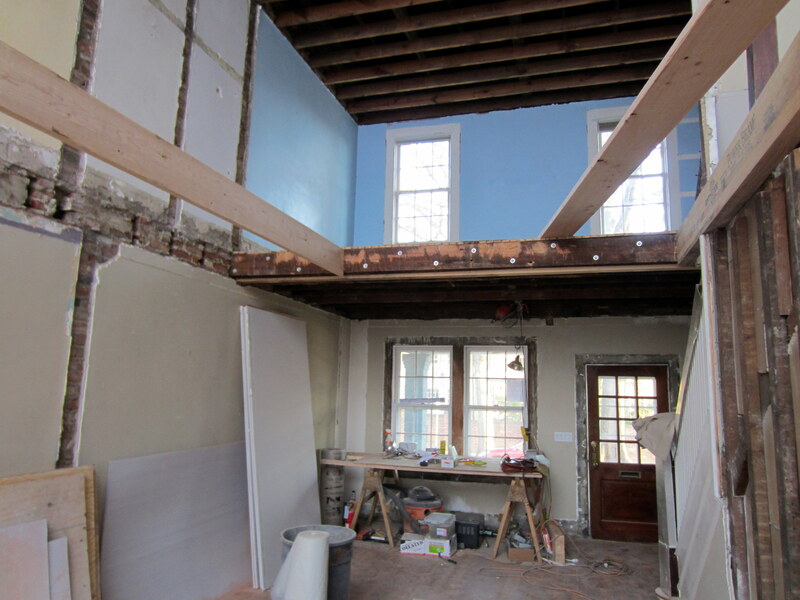 When the plaster ceiling was removed, thought, we realized that it was much thicker than the drywall that will replace it, so we’d only loose a fraction of an inch in ceiling height, while gaining significant structural stability on the second floor. 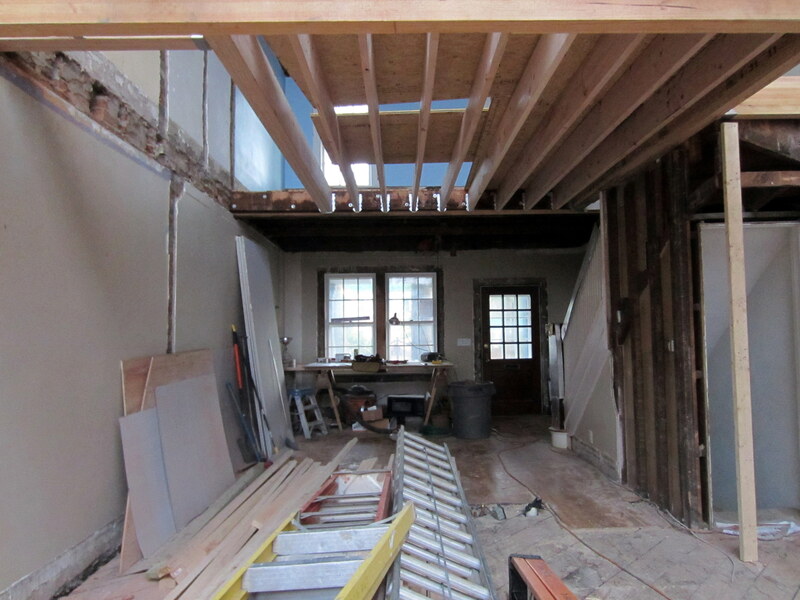 Although most of the joists are 2 x 10s, the showers in the two upstairs bathrooms will be curbless, and have drains that require some clearance, so we’ll be installing 2 x 8s in this area to help with the tile angles. 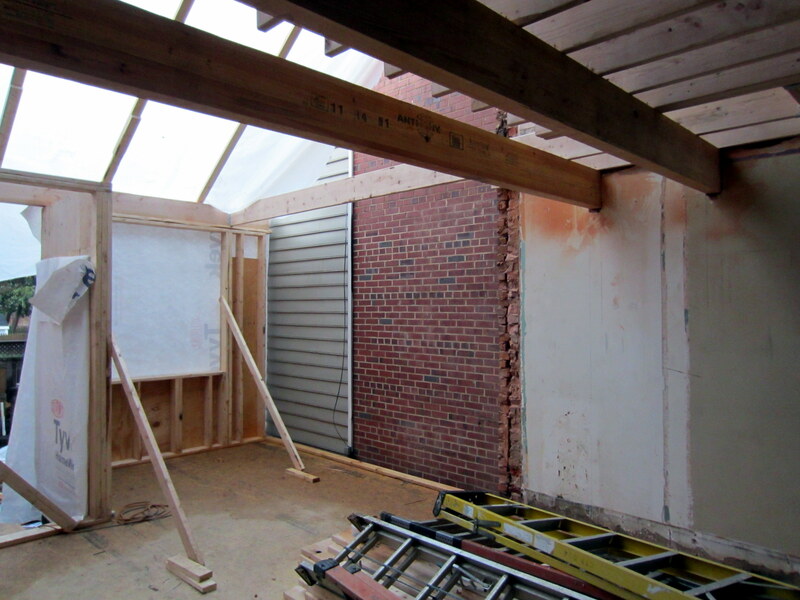 View to the east of the new bulkhead framing. New subfloors begin to go in. 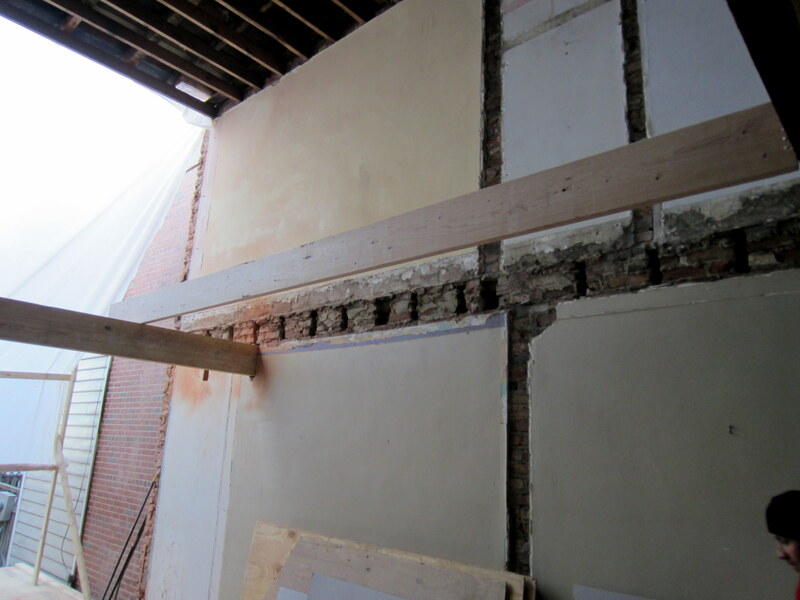 Another angle of the bulkhead framing. 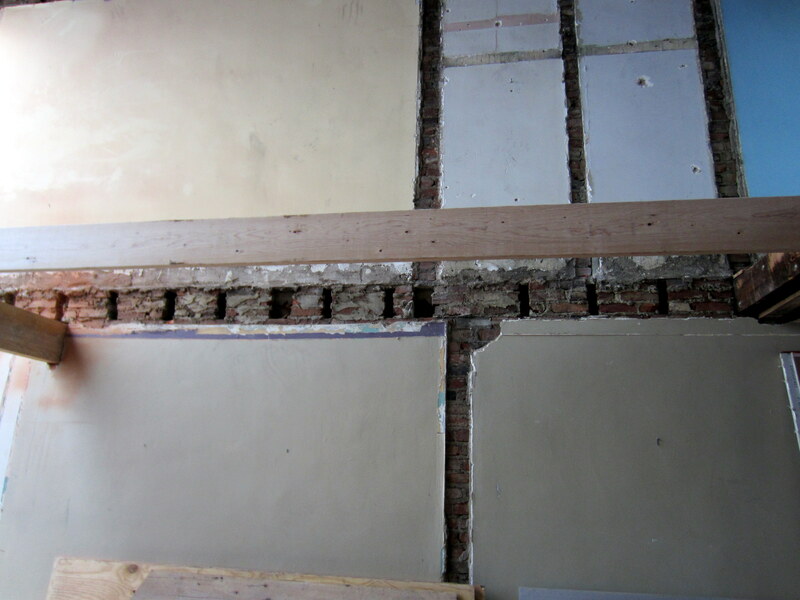 Subfloor installation complete for the original house section. 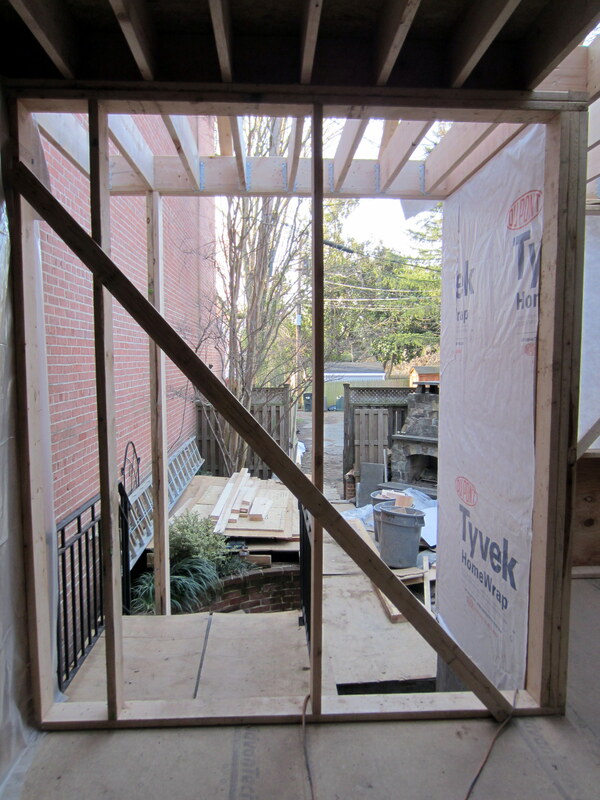 A few of the ongoing framing activities on the second floor. 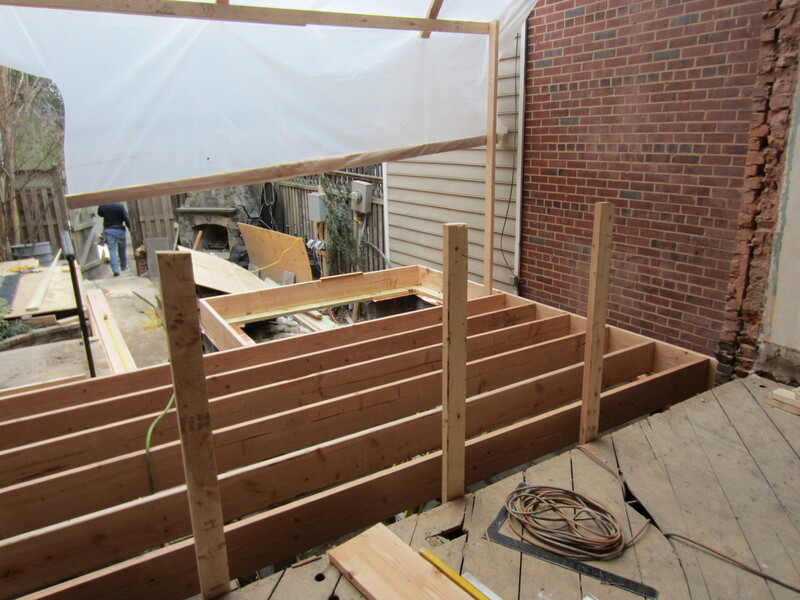 View to the north of the completed bulkhead framing; new, north-south oriented, second-floor joists; and subfloor.